Democrats will say anything to get elected or pass laws they support. The truth is secondary to their goals. Be skeptical of what Republicans say and never believe anything a Democrat says. 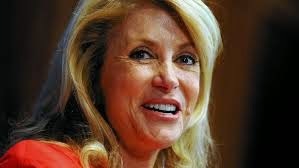 Former Texas gubernatorial candidate Wendy Davis, in her first interview after losing by 20 points to governor-elect Greg Abbott, admitted she only claimed to support an open-carry gun law in order to win votes. So, in other words, "I lied to get votes". Voters knew she was lying that's the reason why she didn't win the election.